3 per sheet. 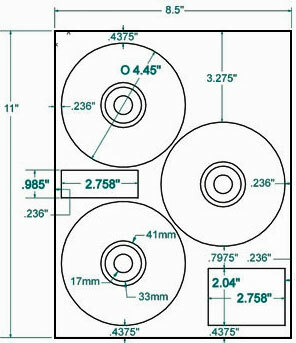 Designed for use with Hewlett Packard® CD Labeling Software. IS NOT COMPATIBLE WITH NEATO 3 per SHEET! 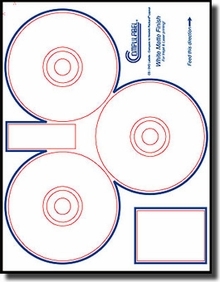 20 Sheets, 60 CD or DVD Labels made of White Laser (Black or Color) and/or Inkjet Material with CD Safe, Permanent Acrylic Adhesive.